Rachael Taylor, whose father is a club pro in Germany, leads the Sun Trust Gator women's college tournament by three strokes after two rounds at the Mark Bostik Course, Gainesville in Florida. Rachael has had rounds of 66 and 70 for 136 over a par-70 course of 6,002yd. Taylor, who had five birdies in her opening round, had an up-and-down second round which included a double bogey 6 at the 13th and four birdies, at the long seventh, short eighth, 10th and 14th. She also bogeyed the first and short 15th. Meghan MacLaren (Florida International) is T22 on 146 with a pair of 73s. She had four bogeys and one birdie in her second round. The Texas-San Antonio trio of Brogan Townend (79-74), Aimee Ponte (79-78) and Becky McGeehan (82-79) are placed T49, T64 and T70 respectively on 153, 157 and 161. Florida (569) hold a 10-stroke lead over North Carolina State in the team event. Rachael Taylor in action. Picture by Tracy Willox. GAINESVILLE, Florida — Rachael Taylor has a lot of ways to ease the anxiety competitive golf brings. But there's one man who proves the ultimate elixir to her nerves: Jimmy Fallon. "I usually watch clips of his show the night before a round and I lie in bed and I'm dieing laughing," Taylor said. "It really helps." On a long Saturday at the Mark Bostick Golf Course, the relaxed Taylor seemed to be chuckling at the lay-out itself. 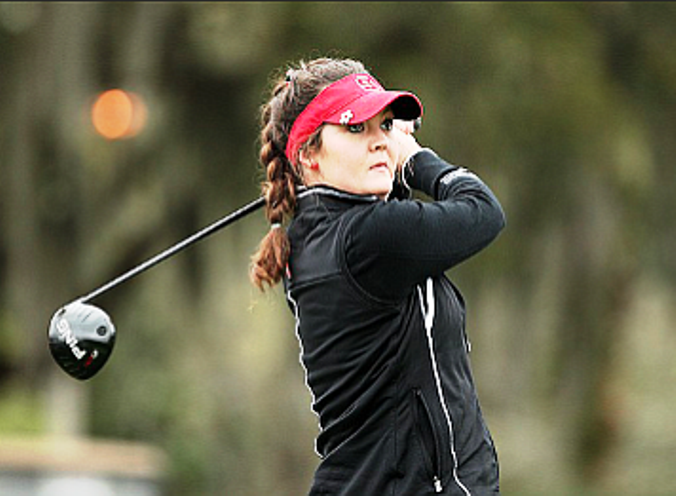 The North Carolina State senior opened the SunTrust Gator Women's Invitational with a 4-under 66 and despite some afternoon struggles followed up with a 70 to become the surprise 36-hole leader and open up a three-shot lead going into the final round. At one point during the second round, Taylor, Golfweek's No. 137 and winless in her college career, reached 7 under and had opened up a five-shot lead. After noticing a scoreboard that revealed her position, Taylor said she started thinking about her score. She promptly three-putted from 10 feet for double bogey at No. 13 (her 10th). But the remainder of the way, she produced two bogeys and a birdie to steady herself and maintain her cushion (which pushed the Wolfpack to solo second and 10 behind with 18 to play). Aside from a brief lapse, Taylor has maintained her laissez faire attitude in grabbing the lead at the Gator. "Lately I haven't been focused too much on the score," Taylor said. "I've been relaxed with good posture and I'm a happy person. I usually laugh and I smile on the course." Taylor's nonchalance speaks to that of a feel player and indeed she is just that. Does she ever have swing thoughts going on in her head? Not really. How frequent does she employ swing changes? Every so often, and even then, they're only minor tweaks. OK, but she must commit to the basics like wearing a glove, right? Nope. "I've tried it before but it's just not my thing. I like to feel the club with two (bare) hands," Taylor said. "I don't see a point in wearing a glove." Don't be fooled, though. Feel may imply freewheeling, but Taylor in fact applies sizable structure and routine to her game. 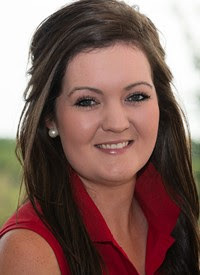 Most pointedly, though, she eagerly scribbles down notes on courses in practice rounds and also maps out the greens, so there are no surprises. "Those things can help your feel," said Page Marsh, head coach at North Carolina State. "If you know that you can play a little fade and use the slope and let the wind take it, that's where you're taking advantage of your feel and being able to set up your score." All of that attention to detail – well, maybe not the Fallon thing – can be traced back to Marsh. The Wolfpack leader isn't one to jam ideas down her players throats, more nudge them in the direction of salvation. "I let them play," Marsh said. "If they need my help, then we may talk about some of their golf decisions. "I want them to learn to make these decisions when I'm not everywhere. I trust that they will learn and grow. I think that builds momentum and eventually they get confidence. You get confidence from overcoming your failures." Taylor's learning and growth dealt with scrapping an over-reliance on feel and managing her on-course emotions better. The former was solved by incorporating the aforementioned data into her process. Stifling the desire to monitor scores or dwell on disappointment meant finding ways to remain detached, even with more data being thrown her way. That's where the Fallon pre-round laugh fest came in. Taylor may also consciously talk more with her playing partners to keep her mind away from the moment. She's also been known to straight up look at the sky because its openness can "let your thoughts wander." Of course, all transitions take time. Taylor experienced a critical slump her sophomore year and only became a full-time starter as a junior. She only has two career top 10s in college events. But after never having posted a score better than 69 in a single college round as recently as October, Taylor has notched a 68, a 67 and a 66 in her last three events, not to mention Saturday's three-shot lead. The senior's growth has finally shown up on the scoreboard. "It's really been fun to watch her mature and grow," Marsh said. "She knows the game's so mental. You're going to mishit shots, it's about staying in the game, and she's learned how to stay in the game. I think she's learned how to harness her strengths." Her father sure would be proud. Taylor's dad, Gerry, is a long-time club professional stationed in Germany. He has been Taylor's only swing coach her whole life, and while the senior does get input from the Wolfpack coaching staff, Dad remains her main teacher. Taylor still sends swing videos to her dad and she gets golf lessons from him while on FaceTime or Skype. His biggest contribution, though, might be his penchant for sending pre- and post-round emoji-filled texts. Taylor points out that he does it rather consistently, with his recent favourite tending to be a message with the "Face with Tears of Joy" emoji. It's another boost, another way to relax and harvest positivity before attacking the course. It's why Fallon's emergence in her routine has become so critical. "I know it sounds cheesy, but (after I watch those Fallon clips), I go to bed with a smile on face, which means I wake up with a smile on my face," Taylor said. She should certainly wake up with a smile Sunday morning. And Jimmy Fallon-willing, the day will end with her first college victory.